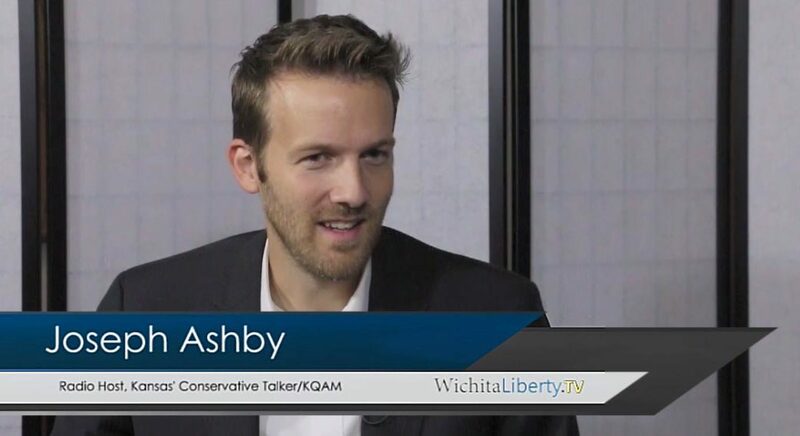 In this episode of WichitaLiberty.TV: Radio Show Host Joseph Ashby joins host Bob Weeks to talk about Kansas judges, Kansas schools, and presidential politics. View below, or click here to view at YouTube. Episode 128, broadcast September 11, 2016. Do the justices on the Kansas Supreme Court make new law? Yes, and here is another example. For more on this topic, see As lawmakers, Kansas judges should be selected democratically: While many believe that judges should not “legislate from the bench,” the reality is that lawmaking is a judicial function. In a democracy, lawmakers should be elected under the principle of “one person, one vote.” But Kansas, which uses the Missouri Plan for judicial selection to its highest court, violates this principle. Do the justices on the Kansas Supreme Court make new law? Yes, and here is an example. Does the state have a legal duty to control the conduct of parolees to prevent harm to other persons or property? When the Kansas Supreme Court confronted this question in Schmidt v. HTG, Inc., it noted a split of authority in other states. For example, a Washington court held that, yes, “a parole officer takes charge of the parolees he or she supervises despite the lack of a custodial or continuous relationship” and this had the effect of imposing liability on the state. However, the Kansas Supreme Court “reject[ed]” this rule and said “The better-reasoned and more logical approach is that taken in [a Virginia case] which held that state parole officers did not take charge” of a parolee in the relevant sense. While many believe that judges should not “legislate from the bench,” that is, make law themselves, the reality is that lawmaking is a judicial function. But this is not, in fact, what Justice Beier and her colleagues on the Kansas Supreme Court did. Rather they did what Kansas Judges Greene and Russell say never happens. 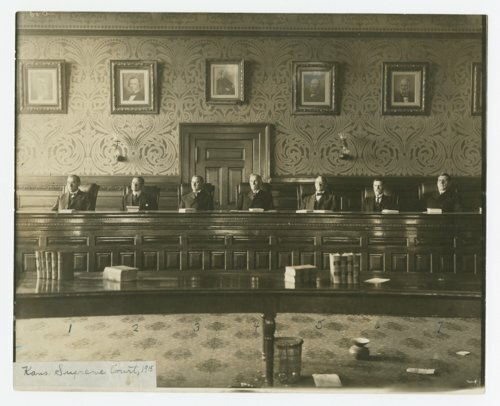 Justice Beier and her colleagues engaged in lawmaking. They changed the legal rule from one contrary to their ideologies to one consistent with their ideologies. Who decided that this rule is “decrepit and unpopular” and so should be changed? Was it the Kansas Legislature? No, it was the Kansas Supreme Court. It was judges, not legislators, who decided that this legal rule was bad policy. It was judges, not legislators, who changed the law to bring it in line with what the lawmaking judges thought was good policy. Non-lawyers who believe in the principle that lawmakers should be selected democratically need to know that judicial selection is lawmaker selection to be troubled by the Missouri Plan’s violation of this principle. Non-lawyers who do not know that judges inevitably make law may believe that the role of a judge consists only of its professional/technical side and, therefore, believe that judges should be selected entirely on their professional competence and ethics and that assessments of these factors are best left to lawyers. In short, a lawyer who omits lawmaking from a published statement about the judicial role is furthering a misimpression that helps empower lawyers at the expense of non-lawyers, in violation of basic democratic equality, the principle of one-person, one-vote. By the way: For those who criticize the support for judicial selection reform as partisan politics — since Kansas has a conservative governor — remember this: When Professor Ware first sounded the need for judicial selection reform, our governor was the liberal Kathleen Sebelius. There was also a liberal senate at that time, one which would undoubtedly have approved any nominee Sebelius might have sent for confirmation. Abstract: The “balanced realist” view that judging inevitably involves lawmaking is widely accepted, even among originalists, such as Justice Scalia, Randy Barnett and Steven Calabresi. Yet many lawyers are still reluctant to acknowledge publicly the inevitability of judicial lawmaking. This reluctance is especially common in debates over the Missouri Plan, a method of judicial selection that divides the power to appoint judges between the governor and the bar. The Missouri Plan is one of three widely-used methods of selecting state court judges. The other two are: (1) direct election of judges by the citizenry, and (2) appointment of judges by democratically elected officials, typically the governor and legislature, with little or no role for the bar. Each of these two methods of judicial selection respects a democratic society’s basic equality among citizens — the principle of one-person, one-vote. In contrast, the Missouri Plan violates this principle by making a lawyer’s vote worth more than another citizen’s vote. This Article provides a case study of the clash between the inevitability of judicial lawmaking and the reluctance of lawyers to acknowledge this inevitability while defending their disproportionate power under the Missouri Plan. The Article documents efforts by lawyers in one state, Kansas, to defend their version of the Missouri Plan by attempting to conceal from the public the fact that Kansas judges, like judges in the other 49 states, inevitably make law. The case study then shows examples of Kansas judges making law. The Article concludes that honesty requires lawyers participating in the debate over judicial selection in the United States to forthrightly acknowledge that judges make law. Lawyers who seek to defend the power advantage the Missouri Plan gives them over other citizens can honestly acknowledge that this is a power advantage in the selection of lawmakers and then explain why they believe a departure from the principle of one-person, one-vote is justified in the selection of these particular lawmakers. The complete paper may be downloaded at no charge here. While many believe that judges should not “legislate from the bench,” that is, make law themselves, the reality is that lawmaking is a judicial function. In a democracy, lawmakers should be elected under the principle of “one person, one vote.” But Kansas, which uses the Missouri Plan for judicial selection to its highest court, violates this principle. A “‘balanced realism,’ to use Brian Tamanaha’s appealing label, recognizes both that judges’ policy preferences have little or no influence on many judicial decisions and that judges’ policy preferences have a significant influence on other judicial decisions. Empirical studies tend to support this balanced view.” In other words, there is some role for ideology in making judicial decisions. Politics, therefore, is involved. Ware quotes Charles Gardner Geyh: “In a post-realist age, the ideological orientation of judicial aspirants matters.” And the higher the court, the more this matters. Since judges function as lawmakers, they ought to be selected by a democratic process. In the Kansas version of the Missouri Plan, a nominating commission dominated by lawyers selects three candidates to fill an opening on the Kansas Supreme Court. The governor then selects one of the three, and the process is over. A new judge is selected. This process gives members of the state’s bar tremendous power in selecting judges. The result: New Kansas law, made by people selected through an undemocratic process. Owens, who ranked as the least friendly senator to economic freedom in the 2012 edition of the Kansas Economic Freedom Index, lost his bid for re-election in the August primary election. Many of the other moderate Republicans who voted against reform also lost their primary election contest. Owens, it should be noted, is an attorney, and is, therefore, a member of the privileged class that has outsize power in selecting judges. Contrary to Schodorf, the bill that the senate voted on, and the one that Owens killed the year before, called for Court of Appeals judges to be appointed by the governor, with the consent of the senate. It’s actually the senate that has the final say. With the change in the composition of the Kansas Senate, the climate became favorable for reform of the way judges are selected for the Kansas Court of Appeals. In 2013 legislation reforming judicial selection for this court was passed and signed into law, taking effect on July 1, 2013. Now these justices are selected by appointment of the governor with confirmation by the senate. 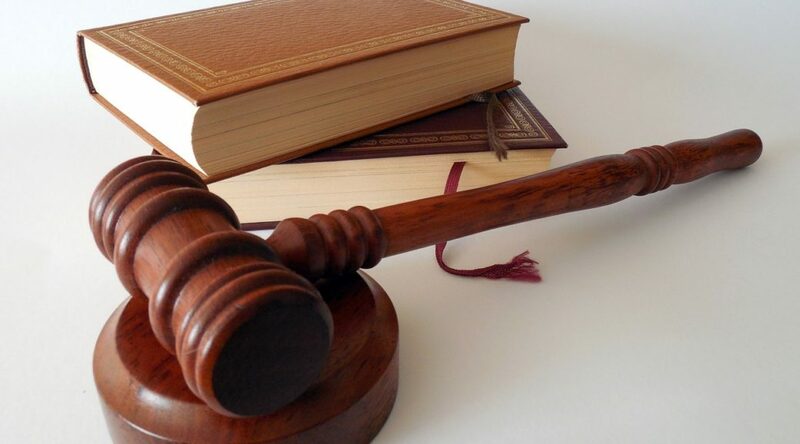 The law governing how judges for the Kansas Supreme Court are selected is part of the Kansas Constitution, and would require an amendment to alter the process. That requires a two-thirds vote in both chambers of the Kansas Legislature, and then a simple majority vote of the people. By the way: For those who criticize the support for judicial selection reform as pure power politics, since Kansas has a conservative governor, remember this: When Professor Ware sounded the need for reform and convinced me of the need, our governor was the liberal Kathleen Sebelius. There was also a liberal senate at that time, one which would undoubtedly have rubberstamped any nominee Sebelius might have sent for confirmation. I don’t care who does the electing so long as I do the nominating. Critics of Kansas Governor Sam Brownback point to his nomination of a confidant to the Kansas Court of Appeals as evidence of politics trumping the — purportedly — merit-based selection process formerly in place. The previous process, however, was nothing if not political. Its defenders — the state’s legal profession — denied that, but they were in charge of the process. In fact, the reason that Caleb Stegall, the current nominee, is not already on the bench is politics. That’s from National Review Online’s Bench Memos. While many believe that judges should not “legislate from the bench,” that is, make law themselves, the reality is that lawmaking is a judicial function. In a democracy, lawmakers should be elected under the principle of “one person, one vote.” But Kansas, which uses the Missouri Plan for judicial selection to its two highest courts, violates this principle. A recent paper by Kansas University School of Law Professor Stephen J. Ware explains the problem with the process used in Kansas. The paper is titled Originalism, Balanced Legal Realism and Judicial Selection: A Case Study and may be downloaded at no charge. The Kansas courts that use the judicial selection described in the paper are the Kansas Court of Appeals and the Kansas Supreme Court. Since judges function as lawmakers, they ought to be selected by a democratic process. In the Kansas version of the Missouri Plan, a nominating commission dominated by lawyers selects three candidates to fill an opening on the Kansas Court of Appeals or Kansas Supreme Court. The governor then selects one of the three, and the process is over. A new judge is selected. This process gives members of the state’s bar tremendous power in selecting judges. Owens, it should be noted, is an attorney, and is therefore a member of the privileged class that has outsize power in selecting judges. The bill that the senate voted on, and the one that Owens killed the year before, called for Court of Appeals judges to be appointed by the governor, with the consent of the senate. It’s actually the senate that has the final say. With the change in composition of the Kansas Senate, the climate is more favorable for reform for the way judges are selected for the Kansas Court of Appeals. 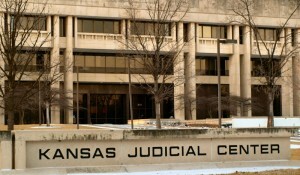 The law governing how judges for the Kansas Supreme Court are selected is in the Kansas Constitution, and would require an amendment to alter the process. Such an amendment requires a two-thirds vote in both chambers of the Kansas Legislature, and then a simple majority vote of the people. Kansas University School of Law Professor Stephen J. Ware appeared on the KAKE Television public affairs program This Week in Kansas to discuss the method of judicial selection in Kansas. Phil Journey and Chapman Rackaway appear as panelists. Tim Brown is the host. In today’s debate the issue of judicial selection reform is usually characterized as strictly political. Now that Kansas has a conservative governor and a conservative legislature, it is said that conservatives want to remake the courts to suit their ideology. At the time Ware wrote this paper and convinced me of the need for reform, Democrat Kathleen Sebelius had just been re-elected Kansas Governor. The senate — which would confirm the governor’s appointments — was firmly in the control of political liberals and moderates who would be sure to rubberstamp her pick. Rubberstamp — that’s a word we see used today by progressives to describe the machinery of Kansas politics at the state level. Another paper by Ware explains the problem with the process used in Kansas. The paper is titled Originalism, Balanced Legal Realism and Judicial Selection: A Case Study and may be downloaded at no charge. Following are several reactions to the decision in Gannon vs. Kansas, the school funding lawsuit. The court ruled the state must spend more on schools. “It is extremely unfortunate for citizens of Kansas that the court has effectively ordered an annual $594 million tax hike. This is even more shocking given that there is no evidence that the billions in increased spending have raised student achievement on independent national exams. According to the National Assessment of Educational Progress (NAEP), less than half of Kansas’ 4th and 8th grade students are proficient in math and only about one third are proficient in reading – this is essentially unchanged over the past decade despite billions in increased taxpayer support. “It costs a lot of money to operate our schools, but its how the money is spent that matters, not simply how much. Just this week, Education Week gave Kansas a D+ for student achievement; among other things, this was a result of low rankings for achievement gains and that we are below the national average for gains in each subject and grade level. They also pointed out that per-pupil spending in Kansas is above the national average and that State expenditures on K-12 schooling, as a percent of state taxable resources, are the 12th highest in the nation. “Once again, Kansas judges have overstepped their constitutional bounds and defied the will of Kansas voters and their elected representatives and senators. With today’s decision, this judicial panel ignored the system of checks and balances that every Kansas student is taught in school and decided that they alone, not the people via the legislature, would determine how the people’s money should be spent, by imposing a specific dollar amount that Kansas must spend for education. “These judges have made themselves the sole arbiters of spending — and by extension, taxation — in Kansas. They have demonstrated no regard for the ability of struggling Kansas families to pay higher taxes, if necessary, to meet their demands. This also disregards the will of Kansas voters, who overwhelmingly elected a House and Senate that supports the existing school funding policy — one that maintains educational quality while also being sensitive to the very real difficulties being faced by Kansas taxpayers. As to the issue of property taxes, this decision has no effect on property taxes whatsoever. Whether or not property taxes increase will be a matter of how the Legislature decides to react. Since the Legislature last year chose to enact massive cuts to the state income tax, they will need to look to some tax source to overcome first the shortfall of nearly $300 million created by the tax cut and then the projected $440 million necessary to fund the school finance formula. If property taxes go up, the decision will rest entirely with the Legislature. There are many options available to them; they have so far chosen to use scare tactics in reaction to being held accountable. There is no greater economic development tool than a well-trained, well-educated citizenry. Kansas has long delivered on that promise. This ruling reasserts the State’s commitment to the children, families, and businesses of Kansas. The District Court of Kansas issued its opinion on the school finance lawsuit on January 11. The ruling, which is in excess of 250 pages, requires adequate funding for schools. The court ordered that the base state aid per pupil should be funded at $4,492, up from $3,838. If funded, the base increase would restore most of the cuts the district has made since 2009. The increase could be at least $45 million. To read the ruling, click here. To watch BOE President Lynn Rogers’ news conference about the opinion, click here. “The education we provide is the foundation for our workforce and the future of Kansas. If we don’t give our students a quality education now, we will pay for it in the future,” he added. The school districts involved in the lawsuit represent about one-third of the students across the state. President Lynn Rogers said that school districts must collaborate with the Kansas State Legislature to work towards school funding solutions. One of the dividing lines between “conservative” and “moderate” Kansas Senate Republicans is their attitude towards judicial selection, as revealed in a vote taken earlier this year. Owens, who ranked as the least friendly senator to economic freedom in the 2012 edition of the Kansas Economic Freedom Index, lost his bid for re-election in the August primary election. Many of the other moderate Republicans who voted against reform also lost their primary election contest. With the change in composition of the Kansas Senate next year, the climate is more favorable for reform for the way judges are selected for the Kansas Court of Appeals. 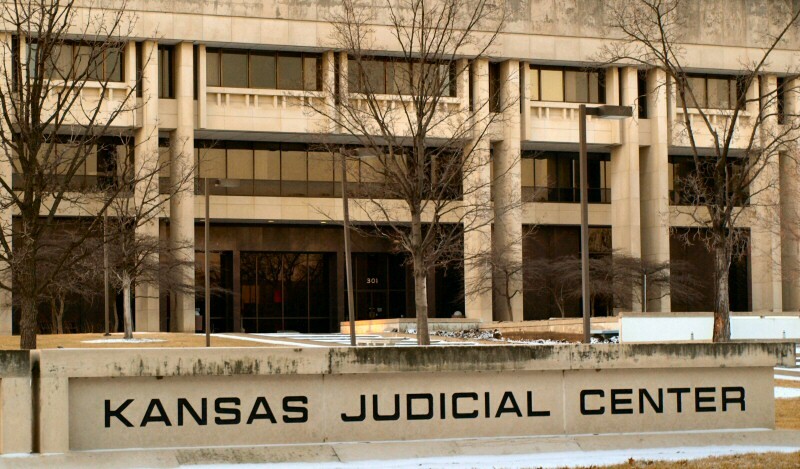 The law governing how judges for the Kansas Supreme Court are selected is in the Kansas Constitution, and would require an amendment to alter the process. Such an amendment requires a two-thirds vote in both chambers of the Kansas Legislature, and then a simple majority vote of the people. Just last week a federal appeals court ruled that the method Kansas uses to select justices to the Kansas Supreme Court is constitutional. Star recommends retaining judges. The Kansas City Star recommends retaining all judges on the ballot in Kansas. The newspaper evidently didn’t take into account or give much weight to the admonishment of Kansas Supreme Court Chief Justice Lawton Nuss over an ethics issue. The Star supports the elitest system of judicial selection in Kansas, where lawyers have much more input than do ordinary citizens. How the right wing echo chamber works. Here’s another instance of left-wing journalists and bloggers claiming to have discovered something that sits in plain sight. Allegations of existence of an “echo chamber” sound sensational and sinister. The left has these, too, as documented in Politico. If you’ve followed some of the attacks on Koch Industries this year, you’re aware that there is a network of websites and blogs that cut-and-paste the same material for wide distribution. This left-wing echo chamber exists in the mainstream media too, when publications like the Wichita Eagle relies on ThinkProgress and the New York Times editorial page for evidence criticizing Jerry Moran on climate change. Who are these sources the Eagle relies on? ThinkProgress is a project of the hard left — but innocently-named — Center for American Progress Action Fund, which in turn is a project of convicted inside trader George Soros. And the New York Times editorial page is, well the New York Times editorial page — enough said. You — not me — should sacrifice. Another global warming alarmist revealed as a hypocrite. “A Youtube film, released by Irish documentary film makers Ann McElhinney and Phelim McAleer, has revealed the shocking hypocrisy of James Cameron, the director of Avatar. The film shows that Cameron, who has publicly stated that ‘we are all going to have to live with less,’ has continued a lifestyle of extravagant consumption. Cameron, yesterday, announced he was donating $1m to oppose California’s Prop 23. Prop 23 will suspend Global Warming legislation and is being bitterly opposed by environmentalists. Supporters of Prop 23 say that if it is defeated California will lose jobs because of an increase in energy prices.” The video is just over two minutes long and may be viewed by clicking on James Cameron — Hypocrite. Most expect local tax increases. Rasmussen: “A sizable majority of Americans say their states are now having major budget problems, and they think spending cuts, not higher taxes, are the solution. But most expect their taxes to be raised in the next year anyway.” More at Most Expect State or Local Tax Hikes In the Next Year. Texas vs. California. “In Texas, the payroll count is back to prerecession levels. California is nearly 1.5 million jobs in the hole. Why such a difference? Chalk it up to taxes, regulation and attitude, says Investor’s Business Daily (IBD).” Summary at NCPA: A Trenchant Tale of Two States . Email spam spreads to Facebook. I’m sure I’m not the first person to receive something like this, but the well-known Nigerian fraudulent schemes that for many years have used regular email have now spread to Facebook messages. Today I was notified by “barrister James Mawulom a solicitor at law” that a man with my same surname had died in Africa, and I am due to receive a lot of money. Some commentary from Americans For Prosperity — Kansas about a bill that would change the way Kansas chooses its justices: Lawyers are soooo smart. What Impact do Kansas Voters Have on Judges? My post mentions Kansas University Law Professor Stephen Ware‘s call for an end to the lawyer-dominated process of selection Kansas judges. Mr. Epp’s reaction — and he is a lawyer — should strengthen the resolve of Kansans to take control of this process away from lawyers and their narrow self-interest. ********. It’s called a retention voted [sic]. Don’t like Justice Dan Biles? Vote him out in a year. And, hey, aren’t all professors supposed to be crazy liberals? So it appears that in Kansas, retention votes have not been a meaningful way for voters to engage in the process of choosing their judges. However, I will trust this blogger to educate us about crazy liberals. This blogger also mentions (A few notes on the Governor’s budget) that the Kansas Senate’s President is Derek Schmidt. Call your office, Stephen Morris. State owned and operated casinos are constitutional and permissible in Kansas. The extremely activist and left-wing Kansas Supreme Court unanimously ruled June 27 that state owned and operated casinos were legal in Kansas. For many statehouse observers this wasn’t a surprise. The Kansas Supreme Court is dominated by liberal Democrats with three of its seven members having been appointed by Governor Sebelius. Since there has never been any statewide votes by Kansans authorizing a change in the Kansas Constitution to authorize state owned casinos. The Kansas top court has ruled that under the provisions of the lottery amendment adopted in 1986 casino gambling in a limited number of places is constitutional! This is an outrageous act since the Kansas Constitution does not authorize casinos but does have provisions authorizing the state lottery as well as dog and horse race track gambling. Kansas is now the first state in the country where monopoly franchises in certain geographic sectors will be permissible under the state owned and operated provisions of the 2007 casino law. Some may argue that the businesses buying the casino permits to actually run the casinos will be operating in a non socialist manner but this is actually a growing way of doing business in Kansas. Let’s call these new state owned and operated casinos the 2008 private-public partnership in Kansas. Critics will probably call it a new state gambling monopoly. In some ways this is similar to Wichita’s city owned Hyatt Hotel. The Hyatt is attached to the Wichita Convention Center and regularly lost thousands of dollars a year under their initial ownership agreement until 2001 when the massive losses from the 9-11 atrocities forced a restructuring. More recently the city of Wichita was asked to provide millions in a very low interest loan to a private theater in downtown Wichita. The city council gave initial approval to this new business subsidy. State owned and operated normally means socialism. If it is under nominal private ownership but the state exercises control over critical operations, the normal political science definition is fascism or often also called state capitalism. In either of the latter two cases the same result occurs with big government politicizing economic decision making. This is just like Governor Sebelius and her bankrupt cabinet member Rod Bremby who suddenly decided to re-write Kansas pollution statutes by deciding that carbon dioxide was now a pollutant and suddenly applied it to the Sunflower power plant expansion in Holcomb. Sunflower is challenging this decision in the courts but the Kansas Supreme Court is Sebelius’ rubber stamp. In contrast with the Sunflower plant, Sebelius and Bremby were not nearly as fastidious about carbon dioxide pollution when the Sebelius administration gave approval for a new government power plant in Manhattan. This authorization was part of the bio-defense facility proposal. The key in Sebelius’ Kansas is: state owned and operated is good. Private sector is not. Socialism and the state control over key parts of this state’s economy is alive and well in Kansas. That is bad economic news for the average Kansan and a problem for the economic future of this state. The Kansas Supreme Court is a private club filled with people you’ve never heard of until they pass some tax you have to pay or invent some law you don’t want. There is a way to fix this, but you won’t like it, says Denis Boyles. Read the full story at Kansas Liberty. What makes the Kansas Supreme Court selection process unusual is not that it’s political, but that it gives so much political power to the bar (the state’s lawyers). Kansas is the only state that gives its bar majority control over the commission that nominates Supreme Court justices. It’s no surprise that members of the Kansas bar are happy with the current system because it gives them more power than the bar has in any of the other 49 states and allows them to exercise that power in secret, without any accountability to the public. His research paper may be read by clicking on www.fed-soc.org/kansaspaper. The Kansas legislature’s school spending spree is racing the latest developments in the judicial-legislative misconduct scandal over school finance in Kansas. The outcome of this race could influence the size of the spending spree going on at the Kansas statehouse right now. The latest revelations on the school finance scandal brings the governor into the story. Senate President Steve Morris has now informed at least some in the statehouse press that he told the governor about his meeting with Supreme Court Justice Nuss and Senator Pete Brungardt. Morris cannot recall exactly when he spoke to the governor and how much of the details of his luncheon meeting with Nuss he relayed to her. What makes this story compelling is not only the governor’s involvement, that has been percolating at the fringes of this story ever since she told legislative leaders last summer that the court was going to come down hard on them the next day–and then the court did so but as another vivid reminder of the culture of arrogance among this state’s bipartisan, self described “moderate” leadership in this state. The governor’s ties to the Supreme Court through her former chief of staff Joyce Allegrucci who is married to long time Supreme Court Justice Donald Allegrucci is obvious for anyone who has any common sense. Governor Sebelius’ knowledge about the outcome of the court’s most recent edict in this case frustrated legislative leaders like house speaker Doug Mays and pro-tem speaker Ray Merrick last summer. When the governor expressed her “outrage” over the revelation of the Nuss-Morris-Brungardt school finance luncheon it now appears that she was probably more upset about it being revealed to the public than about the contents of the meeting. She already knew about the meeting from her buddy, the nominally GOP senate president Morris. Senate Minority Leader Tony Hensley now admits that he knew about the meeting in sometime shortly after the meeting was held in March. Hensley did not see a problem with this meeting and this view demonstrates the culture of arrogance that exists in Kansas government. If Hensley did not see it as a problem, I’m sure that he was happy to share his knowledge with legislative friends who share his support, as a public school teacher/KNEA member, with an additional $3 billion spending spree. This is going to total $6,650 per pupil or $133,000 per classroom (assuming 20 kids per class) in new spending over these five years. What is compelling today about this latest revelation is being connected to the timeline of events. March 1 is the luncheon meeting between the court and legislative leaders. March 2, a Thursday, the senate leadership plan (the four main senate leaders including two attorneys, senators Morris, D.Schmidt, Hensley, Vratil–with Schmidt and Vratil being the lawyers) for spending billions (SB 584, the senate leadership plan has a five year price tag beginning with the increased spending from last summer of $3.2216 billion) through the 2009-10 fiscal year is made public! Is that just a coincidence??? That’s the Kool-Aid the “moderate” i.e. Leftist leadership in this state’s judicial/executive/legislative branch wants you to believe. A day after the Nuss revelation appeared, and only about 10 days ago, the Chief Justice Kay McFarland went to a lunch with the powerful chair of the senate’s spending, Ways and Means Committee, Senator Dwayne Umbarger. Supposedly nothing more controversial than the weather, families, and judicial budgets were discussed then according to Umbarger, but the following week Umbarger’s got the latest school spending spending plan for his fellow senators to consider. Another coincidence â€¦ yeah â€¦ sure. Another revelation is the open records requests that are being made and now denied. The Kansas Supreme Court is refusing to release any information from documents and email being sought by legislators who are upset at this scandal. Similar open record requests are also being made to the governor’s office concerning communications between the Sebelius administration and the KS Supreme Court too. Stay tuned on the request to the governor’s office because the exemption the court is using to stonewall any requests does not extend to the executive branch. The culture of arrogance is also being exposed as the court refuses to provide anything to the public. Legislatively, the Kansas house is taking up the latest school spending plan later today (May 1). Their original version was actually about $40 million a year more expensive than the senate’s propsal (HB 2986). The special house school finance committee’s latest school spending proposal is slightly smaller than the senate plan but the price tag is still approaching $3 billion over five years. The out year funding sources for either the house and senate plans are not visible–these folks are acting like they are congressman who can get the federal reserve to cover for them. If state revenues continue to grow at 10 percent or more a year and the rest of the state’s budget is largely frozen, they might be able to thread this fiscal needle between now and 2010, but a lot of unusual events would need to occur for this to happen. Just in case this needle is not threaded, then the governor wants to try and use this legislation as a lever to try and get gambling expansion revisited too. Governor Sebelius has close ties to ex-Wichitan and now-Nevadan Phil Ruffin who owns the Wichita Greyhound Park and Kansas could still become the first state to have state “owned and operated” casinos created under a previous piece of legislating from the bench by the Kansas Supreme Court that ruled that the 1986 vote on creating the state lottery also meant that five “state owned and operated casinos” would be permissible under their interpretation of the infinitely flexible Kansas Constitution. No one among the casino advocates has come up with a way for gambling expansion to generate more than about 30% of this $3 billion proposed spending spree. 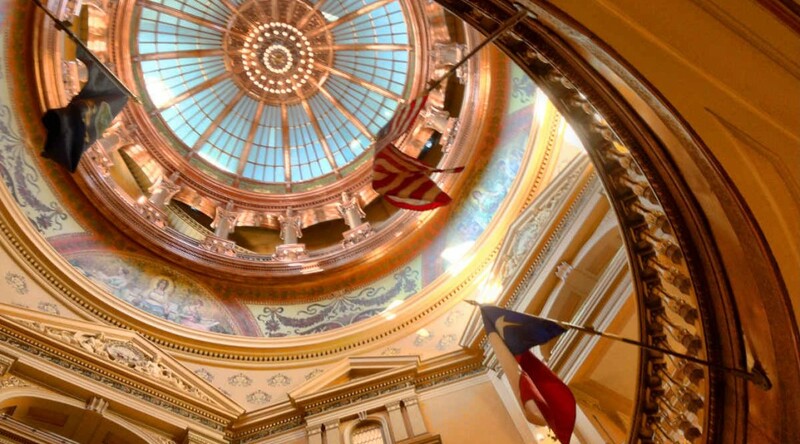 The stage is being set for a tax hike similar to the governor’s 2004 property, income, and sales hike that was backed by her legislative allies like senators Hensley and Morris and the rest of the spend and tax crowd in Topeka. Hensley has his own plan for raising income and sales taxes too. Liberals in both parties have a variety of tax plans that will appear shortly after the inconvenience of this year’s gubernatorial and house elections are behind us. A $3 billion public school spending spree is ultimately going to be a fiscal boat anchor thrown into the hands of the Kansas economy that is struggling to stay afloat right now. This state’s economy is already performing well below the national average in terms of productivity, population growth, and average income per Kansan. This new fiscal burden will destroy this state’s economy leaving a growing percentage of tax consumers as the foundation for Kansas’ economic future. This is going to be grim as we become the next New York or Ohio on the prairie. The success of suing for more spending is going to continue as the school finance spending plan will not significantly diminish the variances in state funding for the mid-sized school districts led by Salina and Dodge City public schools that started this case with their extra tax dollars. That means we’ll get another lawsuit filed soon and this fiscal litigation game will begin again. God help Kansas because the power establishment in Topeka is fiscally destroying this state while demonstrating a culture of arrogance that is a national model for what should NOT be done. Kansas struggles economically but the new spending commitments being made today will harm this state’s economy for the next generation. This is similar to the harm Governor Sebelius’ father imposed when John Gilligan was governor of Ohio for four years in the early 1970’s. Like father, like daughter. As Ohio went, so goes Kansas now. The irony is that the disastrous school spending in Kansas City, Missouri under earlier judicial activism in the 1980’s, albeit in the federal courts, proved disastrous in terms of student achievement and performance back then. Now Kansas is repeating this mistake. The mess in Kansas City is being exported statewide to Kansas. While there was plenty of corruption in Kansas City back in the old Pendergast days there was never a judicial scandal that cost the people billions to pay for on a statewide basis. News accounts report that there will be an investigation into the lunch that Kansas Supreme Court Justice Lawton Nuss shared with legislators. If it is the Kansas Commission on Judicial Qualifications that performs this investigation, I doubt we will see much happen. Last year, I along with Karl Peterjohn of the Kansas Taxpayers Network filed complaints with this commission against Justices Allegrucci and Nuss. I thought we made compelling cases, but the commission disagreed. (You may read my complaints and commentary in the links referred to below.) There was very little reporting in Kansas news media. Only lately has Kansas news media sensed that something might be wrong. The Kansas Meadowlark has uncovered a Salina Journal article published on October 22, 2002, that tells how, in 2002, Justice Nuss recused himself from the school finance case, as he had represented the Salina school district in the past. This is the very issue that Karl and I placed before the Kansas Commission on Judicial Qualifications. See www.saljournal.com/blogs/?p=667. Meadowlark also has some good ideas here: www.kansasmeadowlark.com/2006/04-21.htm. The April 20, 2006 newspapers contain articles about the member of the Kansas Supreme Court, Lawton Nuss, belatedly recusing himself following the revelation that he had lunched with at least two legislators March 1 and improperly discussed the school finance lawsuit. I keep hearing reports of possibly at least one more legislator (Senate President Morris and Sen. Brungardt are the two who have been publicly identified as meeting with Nuss) also attending this luncheon meeting while discussing the continuing and apparently perpetual Montoy school finance lawsuit. KTN is now in a position to reveal that Kay McFarland, the court’s chief had lunch yesterday with the chair of the senate’s powerful spending committee, Ways and Means chairman, Sen. Dwayne Umbarger. Now I don’t know if anyone else from the court or the legislature joined Dwayne and Kay. I’m sure a fascinating discussion was held about the wonderful spring weather we’ve been having with only a slight diversion to discussion of something that would justify the taxpayers picking up the luncheon costs…..who picked up the tab and paid? Or was it a dutch treat? Do they dine together regularly or was this the very first time? My mind is filled with so many questions in the age of perpetual litigation and judicial usurpation. However, I am just a lowly taxpayer with a penchant for posting and too many bad experiences following closed door meetings where the public is banned and often fiscally damned. The luncheon discussion must have been over “judicial budgets” or something like that. School finance would be a topic taboo. In the age of perpetual school finance edicts heralding the age of Montoy, that is another meal that is hard for many hard working Kansas taxpayers to swallow. Taxpayers pay for the six figure judicial salaries, the expense accounts plus a wide assortment of other expensive benefits, and most importantly, the odious and outrageous spending edicts coming from this activist court. Let me remind the readers of this post that this is not the first time that there have been indications of irregular communications occurring between the court and elected officials in this case. House speaker Doug Mays has publicly expressed his frustration over the knowledge that Governor Sebelius had about the court’s, at that time unreleased edict, that she expressed in a legislative leadership meeting in the governor’s office during the special session last summer. At that time the governor’s chief of staff was Joyce Allegrucci. Ms. Allegrucci is the wife of another Supreme Court member, one of the five Democrat members of this court, Don Allegrucci. Since April, 2005 the governor has been publicly backing the position that Kansas public school spending is inadequate and following the court’s $284 million spending hike edict last year. When it comes to the rule of law in Kansas, this is a mandate applying only to the peasants and peons who get to pay the tab for our statehouse masters. When I use the word “statehouse” it includes the appointed masters operating out of the KS “Judicial” Center too. Last year I filed two ethics complaints against Nuss and Allegrucci that were dismissed by the court’s “ethics” panel after closed door hearings that no one except the panel itself could attend. It now is apparent that the complaints against Nuss that were filed by myself and a separate complaint filed by Bob Weeks were valid. The court’s self appointed committee meeting rejected our complaints during their closed door meetings last year. Yesterday’s recussal is a vindication of a sort but totally inadequate for providing an explanation of what is going on in the perpetual school finance imbroglio created by the Kansas Supreme Court continuing edicts in Montoy. The public and press must remember that the Kansas Supreme Court has issued no decision that is appealable to a court with real ethics! Last year the court finally said that the Kansas Constitution requires $285 million in additional school spending in 2005 (where does it say that and how does this amount change yearly?) and for this year the amount is … drum roll please … don’t forget — we’ve got the $289 million in additional revenue estimates to spend with the latest revenue forecast … do the judges get their pay raise too? … what part of Article six, section 6 sets specific school expenditure figures? … oh, what the hell, who are we lunching with tomorrow? … let’s announce it … after lunch! An aside for those who care about the future of Kansas: Yesterday the U.S. Census issued their latest report from 2000-2004 on population growth trends and Kansas came in a dismal 46th out of the 50 states in terms of population growth, “average annual rates of net domestic migration,” see figure 2 on page 4 of this report. We did beat New York that scored 50th. Actually, “population growth” is a misnomer. It’s population loss in the case of Kansas. This report is the most recent listed on the U.S. Census Department’s web site. The school finance litigation began in the 1980’s in Kansas and has continued and expanded in the 21st Century. The first lawsuit was tragic, but now Kansas is becoming a judicial joke, albeit a very expensive demonstration of judicial activism and contempt for the democratic principles that are the foundation for not only this state, but for this republic. Kansas is now getting negative national attention created by the judicial activism coming from the Kansas Supreme Court. Kansas is not alone in judicial activism but the attention focused upon the Sunflower state by the Wall Street Journal April 8, 2006 is a national recognition of a fundamental problem facing Kansas. The negative judicial impact is already hurting Kansas firms as business costs and risks grow. Any out-of-state firm looking to relocate into this region won’t come anywhere near us. Here, the judges are setting budgets and legislatures have been relegated to an elected advisory board. Litigious school district lawyers publicly whine about “inadequate school funding” despite an increase of over $650 per pupil last year alone. Governor Sebelius and her liberal legislative allies in both parties want this spending to be doubled again to a total of roughly $2,000 more per pupil per year. That would be an additional $40,000 per twenty student classroom in Kansas if the legislature approves this spending when they return to Topeka April 26. When this gubernatorial backed spending spree was approved in the Kansas house all 42 Democrats joined 22 liberal Republicans led by Garden City lawyer, Representative Ward Loyd in narrowly passing this bill on a 64-to-61 vote in March. In a spasm of caution, the senate deadlocked and passed nothing so far this year. Now New York Law School professors Ross Sandler and David Schoenbrod bluntly stated in the Wall Street Journal, ” …courts have no power to force a state legislature to appropriate money.” Most people assume that the legislature must cough up the cash because courts have the power of contempt, which allows them to punish those who disobey their orders. In the school case, however, the courts can’t punish anyone. State legislators are not defendants in this case, and even if they were, they can’t be pushed because they are immune from suit. The state’s treasury is immune because the court lacks authority to appropriate more funds and can’t fine the state for the legislature’s unwillingness to do so. The judicial activists among Kansas lawyers, the Kansas Bar, the judicial nominating and “ethics” committees meeting behind closed doors, and the Kansas judges from the liberal Terry Bullock to the Democrat dominated, activist Kansas Supreme Court control the interpretation of Kansas state law. Democratic principles are no match for Democrat and liberal judges. What the judges cannot control are the consequences from this usurpation of elected officialsâ€™ power by this ascendant judicial oligarchy. The Wall Street Journalâ€™s editorial clearly indicates that businesses are entering a risky legal environment once they step into Kansas. The word is out. Other recent Alice in Wonderland rulings, like the Kansas Supreme Courtâ€™s eminent domain edict, add to the problems and risks of conducting business in this state. As the court grabs spending power and weakens property rights this state is being economically as well as politically damaged by judicial activism. The bizarre nature of the Kansas school finance case is increased by several facts. First, the legislature was never even a defendant in the school finance lawsuit, the state school board was. The Kansas Supreme Court denied the legislatorsâ€™ right to appear before the court because of this fact, but then the appointed judges on this court turned around and issued a ruling against the elected legislators. Dissenting judges in this case warned that the New York school finance lawsuit will create endless litigation and perpetual legal second-guessing by their courts. That description of the legal environment sounds like Kansas beginning with Judge Bullockâ€™s infamous Mock decision in 1992.
Who supported this school finance lawsuit in New York? Besides the usual school spending lobbies there were the two â€œexpertâ€ professors from New York whose work is the foundation for the Kansas Legislative Post Audit report issued last January. These are Syracuse University professors and left wing school spending advocates William Duncombe and John Yinger. There are many lessons for the Kansas citizens paying these tax bills to fund this legal circus. Taxpayers are funding both sides of this expensive, multi-million dollar lawsuit. Kansas ranks low in the percentage of tax dollars that gets into classrooms, but there is unlimited tax funds for lawsuits, statehouse school district lobbyists, raising top administratorsâ€™ salaries, and despite all the spending there are lax fiscal controls. Lax controls have created several recent public school financial scandals that included, in one case, shipping over $500,000 in school district tax funds to a bunch of crooks in Kazakstan. This financial scandal indicates that money is the excuse, not the problem, for Kansas public schools. Thank you to Alan Cobb of Americans For Prosperity, Kansas for this report on this needed measure for judicial reform in Kansas. The current system of Kansas Supreme Court selection, the mis-named “merit system,” is a secretive, closed system dominated by lawyers. Kansas lawyers elect themselves to the Kansas Supreme Court selection board. There are no campaign finance filings, no reports, no public meetings. It is time to bring this system out into the light of day. On March 8th, Sen. Jim Barnett proposed an amendment which would have scrapped the so-called “merit system” completely and replaced it with Gubernatorial selection and Senate confirmation. Barnett’s amendment was defeated 25-15. Senators voting against: Allen, Apple, Barone, Betts, Brungardt, Emler, Francisco, Gilstrap, Goodwin, Hawley, Hensley, Kelly, Lee, McGinn, Morris, Pine, Reitz, Schmidt D, Schmidt V, Schodorf, Steineger, Teichman, Umbarger, Vratil and Wysong. Senators voting for Barnett’s reform measure: Barnett, Brownlee, Bruce, Donovan, Huelskamp, Jordan, Journey, O’Connor, Ostmeyer, Palmer, Petersen, Pyle, Taddiken, Wagle, Wilson.